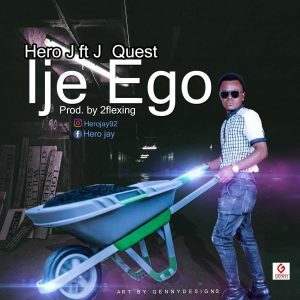 “Hero J” dishes out a hot jam titled “Ije Ego” featuring “J Quest”. Born Duruaku Chidera Nnamdi Jackson popularly known as Hero J is an afro high life singer and a song writer who held from obazu mbieri in mbaitoli LGA in Imo state. He was born in the family of Mr and Mrs Okechukwu Duruaku, born on 24th July 1992. Hero J started his music career at the age of fourteen.